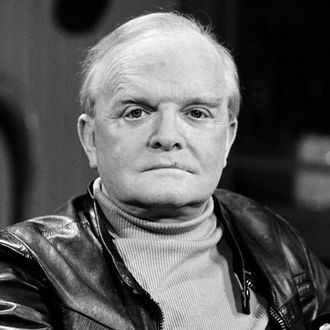 Truman Capote wasn’t the only one who thought the murder of the Clutter family by Richard Hickock and Perry Smith, in 1959, was the basis for a worthwhile book. As has come to light in a piece by The Wall Street Journal, Hickock himself wrote a manuscript about the crime that inspired Capote’s In Cold Blood — and Capote knew about it. The convicted killer worked on the manuscript, called High Road to Hell, with Kansas journalist Mack Nations, who tried to get it published while Hickock was on death row. According to the WSJ, there is evidence to suggest that his attempts failed partly because Kansas law-enforcement officials deliberately attempted to thwart the project while supporting Capote’s, and partly because Random House — where Nations sent his work — already had a contract with Capote. Capote also made attempts to buy the Hickock manuscript himself, presumably to stem the competition, but was unsuccessful. In High Road to Hell, Hickock doesn’t deny committing the Clutter murders, but he does suggest a different motive than Capote, hinting that it was a paid job. Part of the manuscript reads, “I was going to kill a person. Maybe more than one. Could I do it? Maybe I’ll back out. But I can’t back out, I’ve taken the money. I’ve spent some of it.” As Hickock’s financials showed no improvement after the killings, and as such a defense was never used throughout Hickock’s criminal proceedings, however, the account was deemed unlikely to be true.